Credit: Stephanie Schollaert Uz/NASA. Download this image (JPG, 82.7 KB). 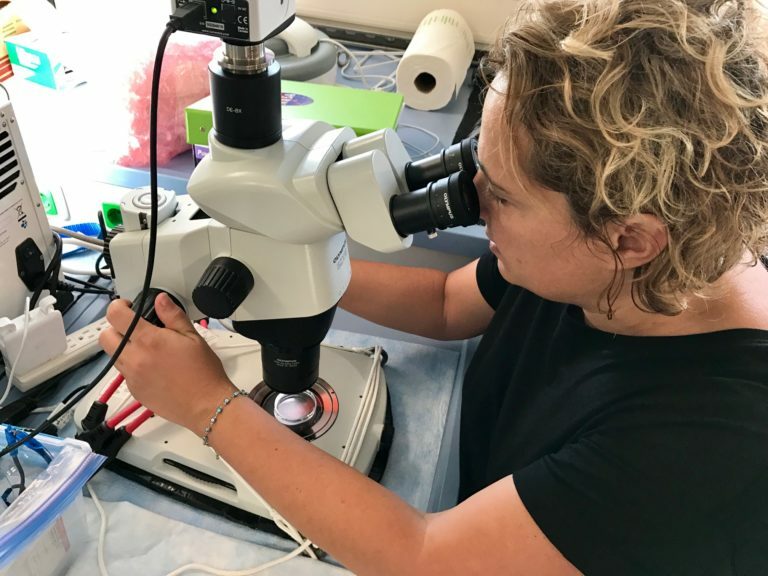 [30-Jan-17] Zrinka Ljubesic, University of Zagreb, uses a microscope to observe phytoplankton and zooplankton in seawater samples.